SKI CLASSICS. This year's Reistadlopet saw two more athletes join the Visma Ski Classics season nine winners' circle as Team Telemark's Mikael Gunnelfsen and Astrid Oyre Slind of Team Koteng won their races in Northern Norway. The 50 kilometre trek from Setermoen to Bardufoss is widely considered the toughest course in the Visma Ski Classics calendar and this latest edition was typically tough even for the elite stars, as most chose to go with diagonal striding up the plethora of brutal climbs within the track. At least there was some aesthetic joy in that pain for them, as both races were held within a picture perfect postcard of sunny, blue sky conditions. After a tight start to the women's race where Britta Johansson Norgren, Lager 157 Ski Team clinched the overall green sprint bib title with victory at the Storlomyra checkpoint, Oyre Slind together with her teammate and last year's winner Masako Ishida broke away from the rest of the field. Anna Svendsen was the only other woman to keep up with them, until she started to fade in the final section of the course and finished in an excellent third place. Ahead of her, the Team Koteng duo fought for the race victory. Oyre Slind was finally able to shake off Ishida with two kilometres left as she accelerated to a jubilant victory, her first Visma Ski Classics stage win since Yllas-Levi at the end of season eight. It sealed a perfect day for the Norwegian as she also took over possession of the climb bib competition by just seven points after winning both checkpoints at Orta and Hallvor Hill. So what of the undoubted legend of the sport, Johanson Norgren? Well, after her sprint victory, she struggled massively in the Reistadlopet tracks as her decision to go with wax rather than customarily double pole backfired. Johansson Norgren could only finish in ninth place, over eleven minutes behind Oyre Slind. But it was not all bad news for the Swedish star as she still did enough to add to her green sprint bib success by sealing overall victory in the Hertz yellow champion bib competition for the third year in a row. In the men's event, the beautiful, hard tracks also created a fast race, where Anton Karlsson, Lager 157 Ski Team, almost sealed the green sprint bib heading to Yllas Levi with another maximum checkpoint haul at Storlomyra. After that, Simen Ostensen, Team BN Bank, won both climb checkpoints to take an eleven points overall advantage over teammate and previous lumberjack bib leader Morten Eide Pedersen. Neither would be able to take the overall Reistadlopet victory though, as a group of seven men moved away after Sundlifjellet. The pack featured a mix of established Visma Ski Classics stars such as Petter Eliassen, Team BN Bank as well as Chris Andre Jespersen, Team Koteng who won the Visma Skier of the Day award for his aggressive contributions during the race. But the group also featured other talents such as British World Cup skier Andrew Musgrave. He finished fourth in the sprint to the line in Bardufoss, just behind a surprise podium trio. Erik Valnes of Team Koteng, who hails from the local ski club in Bardufoss, took third position, with Johan Hoel in second place. Ahead of them, Gunnelfsen produced a beautifully managed and controlled race to make the decisive push with just a few hundred metres left, as he went on to win a Visma Ski Classics race for the first time. 'I didn't believe that I had it in me to win! The key was not to burn too much energy too early, I tried to stay calm for the finish and was able to do that better than the rest,' the surprise winner Gunnelfsen said after the race. Behind him, Eliassen took fifth spot to reduce his deficit on Hertz yellow champion bib leader Andreas Nygaard of Team Ragde Eiendom (who finished in thirteenth place) to only 23 points ahead of the upcoming finale in Finland. Torleif Syrstad of Team Koteng and Team Ragde Eiendom's Sofie Elebro held on to the pink youth bibs, while both of the Visma Nordic Trophy competitions remain too close to call with one race still to come. 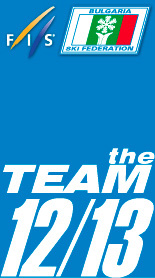 But perhaps the most exciting category of all is the coveted Pro Team competition. Team Koteng's great day at home in Norway means they stretch their leads over Lager 157 Ski Team and defending champions Team Ragde Eiendom. 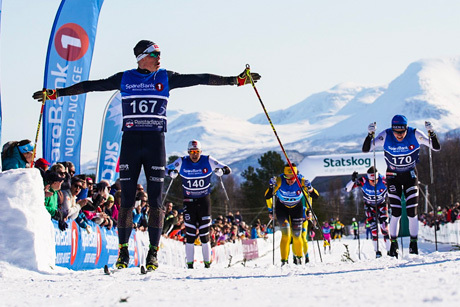 But it is definitely all still to ski for as Visma Ski Classics season nine now moves to a likely thrilling finale in Yllas-Levi, Finland next Saturday, 13 April.